I’ve been a little careless in the sun so far this year, nothing too horrific (I’ve had some pretty bad sunburn in the past) But enough that my parting stayed red for a few days and my back started to peel a bit! Stupidly I spent a fair amount of time (and money!) on sunbeds in my mid twenties and have fair freckly Irish skin and blue eyes so should really be careful with my already sun damaged skin! Skincare is something I didn’t bother with much in my early twenties, so i’m attempting to take better care of my epidermis from now on! 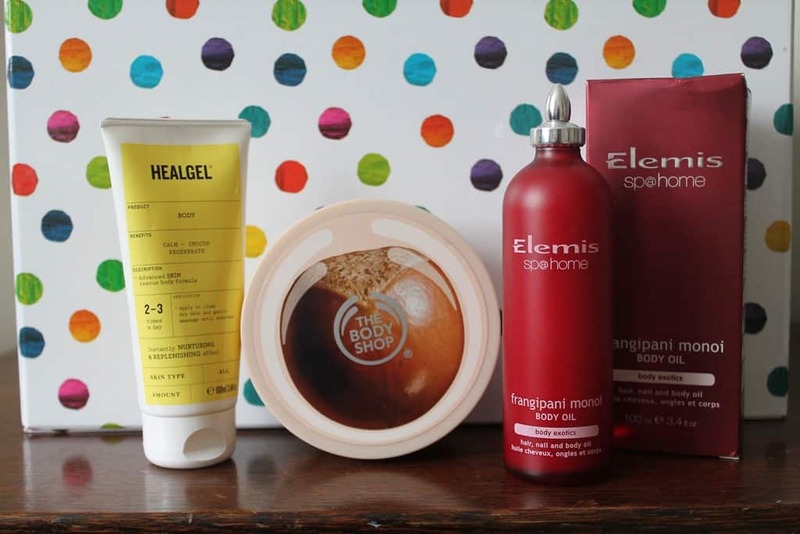 In the absence of proper after-sun in my bathroom I had a dig about for alternatives in my cupboards and have been using Heal Gel on my face and The Body Shop Shea body butter on my arms and back. The Heal Gel body (I reviewed the eye gel here) isn’t actually for the face but having used it for its actual use previously I knew it cooled instantly on contact and felt really refreshing, so perfect for red noses and burnt partings! A little goes a long way too, but I didn’t want to apply it 4 or 5 times a day all over my back and found it worked perfectly on my face to cool me down when I got in from a day in the sun. 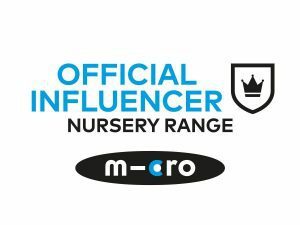 Here’s the website for more info. The butter I applied before bedtime on my back, arms and the tops of my feet and amazingly my skin still felt moisturised when I woke up. The smell is also pretty nice too. Since writing this post I’ve actually finished the Shea and started on the Honeymania, but love the sound of the Pink Grapefruit too, roll on the Christmas Sales so I can stock up again! 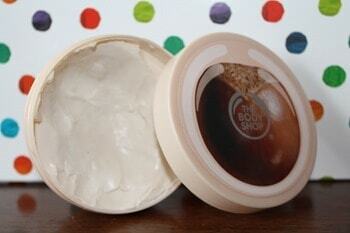 You can view all the Body Shop Body Butters here! 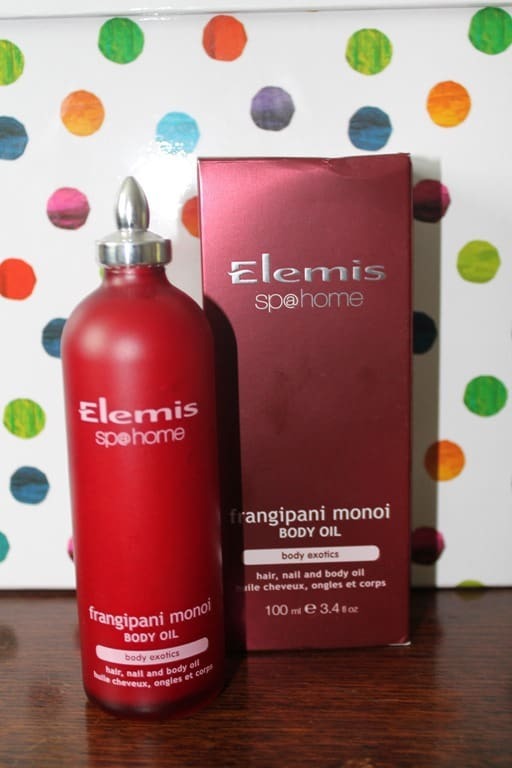 The Elemis Frangipani body oil is solid in its natural state, you have to warm the bottle up in hot water before use, but I tend to pop it in the bath with me for the last ten minutes so I can apply it liberally all over once i’m dry. It has the most gorgeous smell and this is my 3rd bottle! I was introduced to it at a spa day for a friends hen do and fell in love with the scent, I’ll be devastated if it ever gets discontinued! They do various other lotions and potions in this scent too. What have you been slathering on your body recently? 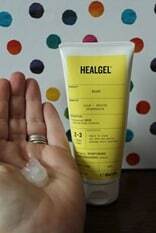 disclaimer: The Heal Gel was sent to me free of charge but I was under no obligation to review it. The other items were purchased by moi!